Angela Merkel was recently named Time Magazine Person of the Year 2015. The honour recognises that Merkel’s 10th year as Chancellor of a united Germany coincides with her role as ‘de facto leader of the European Union, the most prosperous joint venture on the planet’. An evocative and striking portrait of the Chancellor graces the cover of the magazine. Northern Ireland artist, Colin Davidson, was the man commissioned to produce the image. Davidson is also currently showing a solo exhibition in the Ulster Museum in Belfast. It is an exhibition of portrait paintings entitled ‘Silent Testimony’, which reveals the stories of eighteen people connected by their individual experiences of loss through the Northern Ireland ‘Troubles’. Davidson’s work captures two very different, and yet evasive influences on his life experience. One is the intensely local and familiar Northern Ireland of his youth, and the other is the more distant and unfamiliar European context. Sometime before the end of 2017, Northern Ireland voters will be asked to judge the importance of the latter when they choose in a referendum for the UK to either leave or remain in the EU. 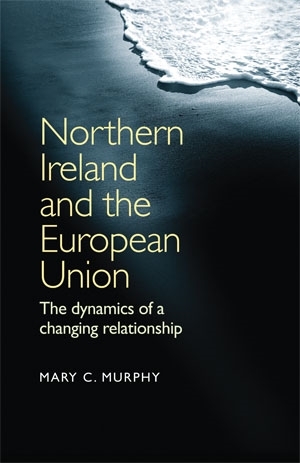 Northern Ireland’s relationship with the European Union dates to 1973, the year of UK (and Irish) accession to the then European Economic Community. For many years, membership was overshadowed by a violent conflict between two competing communities with very different political aspirations. The EU, its constitutional status and policy framework, was not a primary concern for the region. The 1994 paramilitary ceasefires tentatively promised a new era of peace. EU support for the delicate Northern Ireland peace process took the form of a series of generous financial PEACE programmes, which were additional to structural fund support. This commitment of financial largesse has been the primary EU reference point for many in Northern Ireland. The cease-fires were followed by the signing of the Belfast Agreement in 1998. New devolved power-sharing institutions were created; North-South links between Northern Ireland and the Republic of Ireland were institutionalised; and a British-Irish Council linking the UK, its constituent units, and the Republic of Ireland was established. The new Northern Ireland administration found itself responsible for a broad range of public policies, including many with an EU dimension. The region’s pursuit of an EU agenda has been aided by the opening of a regional office in Brussels, the creation of a European Policy and Coordination Unit in the Office of the First Minister and Deputy First Minister, and to a lesser extent, the work of Northern Ireland Assembly committees. In 2007, the European Commission created the Northern Ireland-EU Taskforce to further support the administration and, specifically, to increase its capacity to access (competitive) EU funds, programmes and initiatives. The onset of the global economic crisis, the increased volatility of the UK’s relationship with the EU and the growth in Eurosceptic forces have not seriously undermined core public support for EU membership in Northern Ireland. In contrast to other parts of the UK, a majority of people in Northern Ireland remain broadly supportive of continued membership, According to a Danske Bank survey in 2015, 58% favour remaining in the EU, while 16% want to exit. The number of ‘don’t knows’ is high, but perhaps more importantly, the level and depth of support is much stronger among nationalists than unionists. Religious persuasion is an important determinant of voting intention in Northern Ireland. Although it is not absolute, there is a relationship between religious persuasion and political party support. In this context, there are opportunities for parties to provide cues for voters. In Northern Ireland, however, political parties have not been especially vocal on the question of leaving or remaining in the EU. Their positions have tended to be vague and splits within parties are evident too. And nor has the Northern Ireland Executive adopted a view – it is hamstrung by persistent differences between political parties which prevent the articulation of a clear and coherent position. When questions around national sovereignty are raised, as is the case for the UK-EU referendum, leading political actors in Northern Ireland invariably retreat. The result is a serious absence of debate, combined with a lack of preparedness for future political developments, some of which will possibly entail profound consequences for Northern Ireland. The outcome of the referendum may produce deep political and constitutional questions about the future unity of the UK. These dynamics, if unleashed, have the potential to further complicate and possibly destabilise a fragile peace in Northern Ireland. Civil society groups have begun to mobilise to fill this void in public discourse. The NI Debate EU initiative is aiming to influence the quality of the debate in Northern Ireland by consulting and engaging with stakeholders. The CBI (Northern Ireland) has voiced some support for remaining in the EU, but many other sectoral organisations have not been active in terms of educating and advising their members. In fact, there is no Northern Ireland branch of the official ‘leave’ or ‘remain’ campaigns. Some discussion of the EU referendum is beginning to emerge in Northern Ireland, but the truth is, it is a discussion which is difficult for many political parties and others to engage with. This does not distract from the need for a balanced, coherent and robust discussion of the EU in Northern Ireland. More than any other region of the UK, Northern Ireland stands to lose most in the event of a Brexit. Although the extent of the economic loss is unclear, the uncertainty it generates may prove to be very costly. The loss may also be political, threatening links between the constituent parts of the UK, and changing relations with the Republic of Ireland. If the impact of a Brexit is likely to be acute in Northern Ireland, the debate needs to be shaped to reflect or deflect a wide variety of views, opinions and perspectives. The Electoral Commission has a role, and the Prime Minister must remain attuned to the interests of all parts of the UK during the negotiation process. Input from civil society is crucial, and political parties have an instrumental role to play. Given a long history of inward-focused politics in Northern Ireland and the complexity of the EU, the task is both difficult and sensitive, but it is also vitally necessary. Key actors in Northern Ireland must find ways of generating an EU debate. If they are successful, it will mark an important moment in the maturation of Northern Ireland’s political system. If they are not, the consequences may be dire. When painting the eighteen subjects of his ‘Silent Testimony’ exhibition, Davidson remarked: ‘I was welcomed into their lives and homes and made 18 new friends’. The artist never met the German Chancellor, but even so, he felt that by studying her and painting her, he did get to know her. Northern Ireland needs to find equally creative and inventive ways to allow its people to get to know Europe, to understand the implications of an EU departure, and to cast an informed vote in the upcoming referendum. 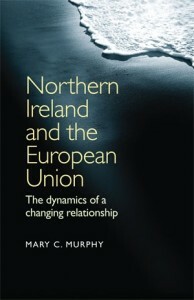 Mary C. Murphy is author of Northern Ireland and the European Union: The Dynamics of a Changing Relationship (ISBN 978-0-7190-7982-5). Category: Irish Studies, Politics	262 Comments.